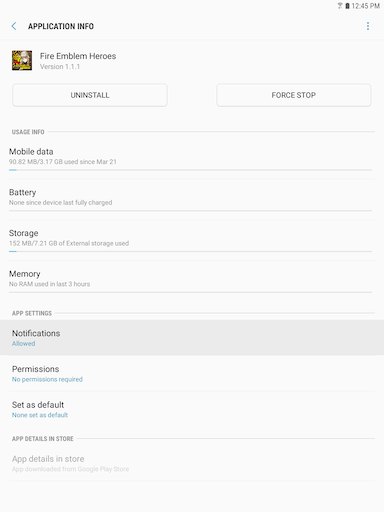 Galaxy Tab S3: How do I Change Notification Sounds on my Samsung Galaxy Tab S3 (SM-T820)? 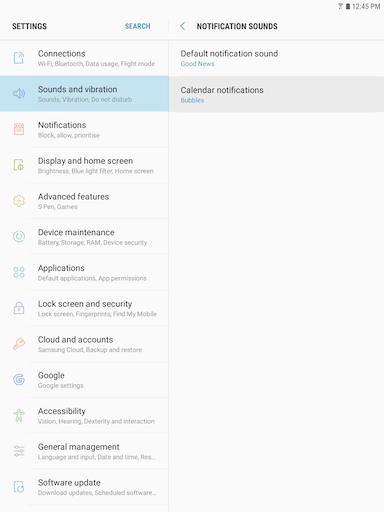 Set the default notification sound and the notification sounds for apps such as Calendar. You can choose a sound for the notifications sent by your apps. 5. 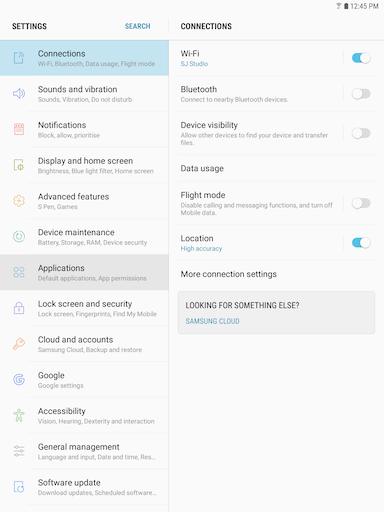 Touch Default notification sound. 6. Scroll up and down to access all available sounds. Touch a sound to select it and hear a preview. 7. 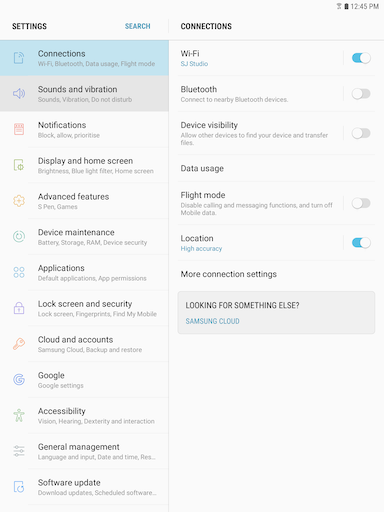 Finally, touch the Back icon or the Back key to start using the sound selected as your default notification sound. 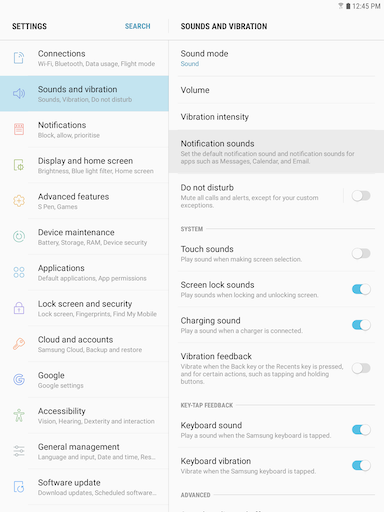 Important: If you don't touch the Back icon or the Back key, the new sound you selected will not be saved as your new default notification sound. Choose notifications alerts for a new calendar event. 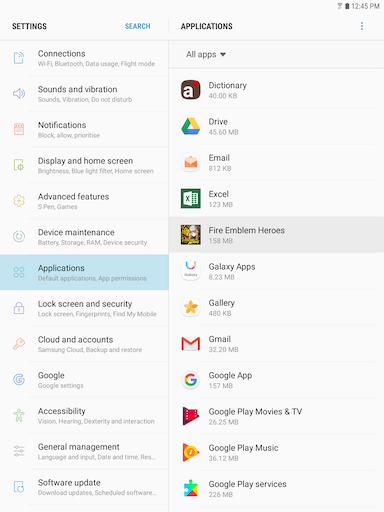 You can set a specific sound, different from all the notifications from the other apps. 7. Scroll up and down to access all available sounds. Touch a sound to select it and hear a preview. 8. 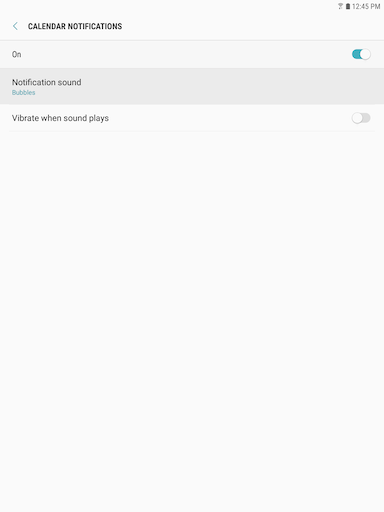 Finally, touch the Back icon or the Back key to start using the sound selected as your default notification sound. You can control which applications push notifications to your device. 4. 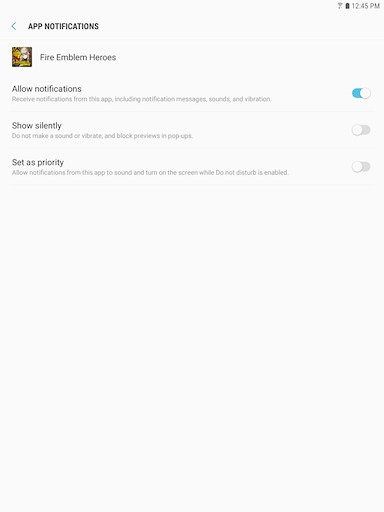 Swipe to and touch the application you want to control the notifications. Note: Depending on what is turned ON or OFF, some options may appear or disappear.